"Whose Best Interest? International Child Abduction Under Hague Convention." INTRODUCTION: "The primary legal remedy for parents of children abducted to foreign nations is the Hague Convention on the Civil Aspects of International Child Abduction ("Hague Convention") ratified by the United States on October 25, 1980. As of July 2001, the treaty was in force between the US and fifty other national signatories. The Hague Convention is designed to return children to their "habitual residence" where a court of proper jurisdiction will determine custody. The Treaty however has been largely ineffective in accomplishing this objective. It has failed to meet its goal in large part because of reliance on an essentially subjective best interest standard that facilitates foreign nations' manipulation of the treaty and their wrongful retention of foreign children within their borders. The subjectiveness of the best interest standard enables judges to make discretionary decisions." "Discretion often takes the form of gender biases, national biases, and judgments regarding the "acclimatization" of children to their environment that is often due to judicial delay. The result is substantive non-compliance with the Hague Convention." High Court judge wherever possible." Yet they assigned a Deputy Circuit Judge to sit in the High Court for Alessia's case! “A reservation incompatible with the object and purpose of a treaty is [void] as a matter of International law.” - Vienna Convention on Law of Treaties, Art. 19, 1155 U.N.T.S. 331. 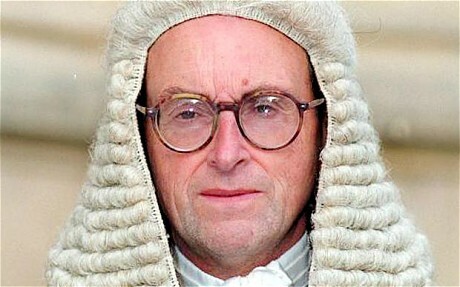 Lord Justice Thorpe targeted by Fathers For Justice in the United Kingdom. Prominent Brazilian Attorney, João Paulo Lins e Silva, delivered a key-note lecture to the international community at the Hague Convention entitled "Parental Alienation Syndrome" only to then wrongfully retain Sean Goldman in Brazil... so too did Lord Justice Thorpe, prominent Head Judge of England's International Family Justice. Thorpe ironically distributed a paper he wrote entitled 'The Case for Judicial Activism' to the Hague Community at the Family Law Conference in South Africa on January 26, 2007 and then turn around and violated the Hague Convention on the very grounds he listed in his paper. Both men were guilty of the very obstructions they were advocating against. As Lord Justice Thorpe illustrated, learning to set aside (inherent) gender-bias tendencies, especially those which traditionally have been a cultural part of a ' matriarchical ' society is not a simple task for any judge... "He is steeped in the laws of his own land and may well be convinced of their superiority. He may have an equal faith in the beliefs and values of the society within which he works...” and therefore, Hague cases in the UK are (supposed) to be heard only by 1 of 18 “senior-specialist judges.” However, a deputy circuit judge was assigned to Bart's case. The same Deputy Circuit Judge also had a decision reversed and remanded in another Hague Abduction case, nearly identical to Alessia's. The most disturbing element of that case was that it had been unanimously overturned & remanded for the exact same procedural errors exhibited in Alessia's case by the very same Appellate judge who refused to reverse and remand the decision under the very same precedent. See Paras 12-20, 27, 40 of this case. (1) The Deputy Circuit judge not only made the same procedural errors in both cases, he used nearly identical gender-bias language against both foreign fathers. The only difference in the two cases was that the Court of Appeals correctly defended the Hague Convention by overruling the Deputy Judge in the referenced case below, but refused to even allow Alessia's father "permission" to appeal or adduce ANY evidence to prove his case had been procurred by fraud. (2) Secondly, the 'Hague Guide to Good Practice' specifically states on page 85: "Delay in legal proceedings is a major cause of difficulties in the operation of the Convention. All possible efforts should be made to expedite such proceedings. Both the Hague Convention and European Law mandates that Hague proceedings are to be completed within "SIX weeks - yet they dragged Alessia's case for more than TEN MONTHS. Further Hague courts in a number of countries normally decide on requests for return of a child on basis: "only of the application and any documents statements in writing submitted by the parties, without taking oral testimony or requiring the presence of the parties in person. This can serve to expedite the disposition of the case. 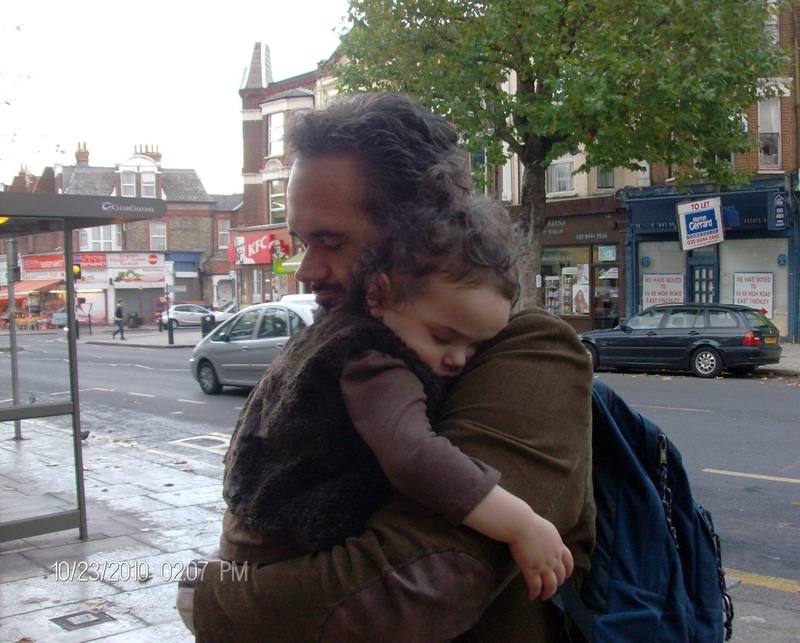 The decision to return the child is not a decision on the merits of custody[.]" (4) Nevertheless, the Deputy Circuit Judge in Alessia's case ordered TWO FULL DAYS of oral-evidence, centered entirely on trying to discredit the American father and focusing on merits of custody issues rather than the purpose and objectives of the Hague Convention; the result of which distracted the Deputy Judge from focusing on the proper issues at hand. Paragraph after paragraph of the foreign judgment, the Deputy judge focused on merits of custody issues in an abhorrent violation of Convention Articles 16 & 19; the result of which caused the Deputy Judge to lose his independence and impartiality to such an extent that both the hearing and decision resulted in a mistake that ran contrary to the purpose & objectives of the Hague Convention. In any event, fresh evidence authenticated by the U.S. Department of State confirms a conspiracy to kidnap the child and that the foreign judgment had been procured by fraud. "I am sorry to say that the father's evidence was that of a self-centred man who appears to care very little for the true welfare of his child. It appeared to be motivated almost entirely by a sense of his own rights." 19. The judge was [appreciative] of the mother's evidence. He said in the following paragraph: "The mother's evidence, in contrast, I found impressive. She said that she realised that she had removed V [unlawfully], but "for her own good." While the father seemed hardly to know his daughter, mother was clearly closely and sensitively involved with her needs. I thought that the strain that the mother showed went beyond the normal effect of giving evidence and presenting her case. I find her to be a parent who had been at the outer limits of her ability to cope, but who has now recovered her balance. I believe that she would be pushed back to the edge by an order that V should return." * It should be noted in fairness to the UK, that foreign and domestic judgments IN ALL COURTS (including the US) make mistakes. It was for this reason appeallate procedures have been put into place. 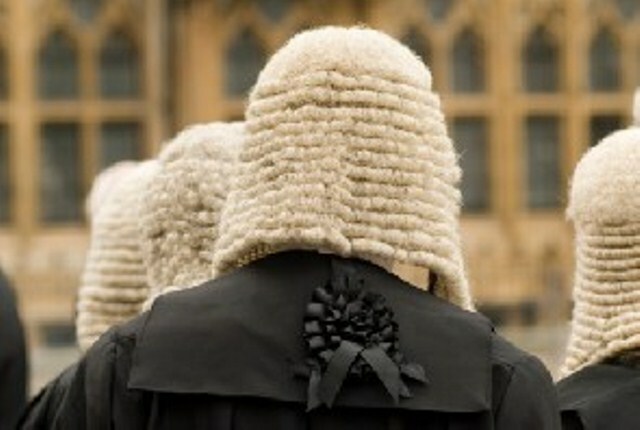 Supreme Court decisions in the UK, US, and the European Union have outstanding records of fairness and justice and have in fact over-ruled many errors in judgments made by these UK judges (and other judges) in order to right wrong decisions, maintain objectives of the Convention, maintain public faith in the judicial process and ultimately to ensure no perversion of justice occurs. The United States is certain that: (1) had all evidence (and fresh evidence) been allowed pursuant to Convention Article 30, and (2) had the 'Laws of the State' of Alessia's prior habitual residence been 'properly considered' pursaunt to Hague Convention Articles 3, 14, & 15; and (3) had all of the well-established prior Convention cases been properly considered, then there is more than a reasonable argument that the foreign decision, or a part thereof, would have been discovered to be plainly-wrong and it is highly plausible that two different minds would have reached a widely different decision in an Appellate court. Unfortunately for Bart & Alessia, permission to do so was denied in breach of Human Rights & Due Process.